Do you ever dream about Excel documents? Trapped in an endless succession of crowded cells, trying to find the information you desperately need? For event staffing professionals, Excel is definitely more of a nightmare than a dream come true. Yet for years, agencies have been stuck with complicated, messy Excel spreadsheets to fulfill their data management needs. While it can be a powerful and helpful tool for many industries, no matter how proficient you are and how customized you are able to make your spreadsheets, there are still many vital aspects of the staffing industry that Excel simply can’t address. For one, Excel does not have a way to display photos. When a big part of your job is to locate the candidate with the right look for a particular brand or event, photos are incredibly important! 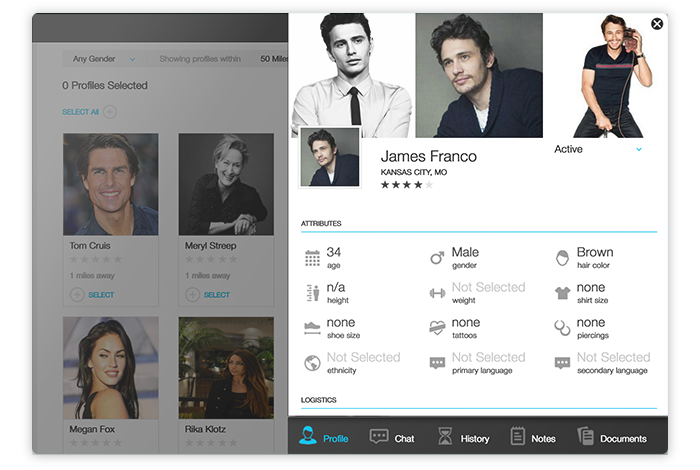 There’s just no way that even the most accurate statistics can give you the picture you need when selecting talent, and toggling back and forth between multiple platforms to match a name with a face shouldn’t be necessary. Aside from the visual shortcomings, the major problem with Excel spreadsheets is the constant, mind-numbing manual upkeep. Every time a model’s information (or any other piece of important data) changes, you have to hunt down their column and update each cell yourself. And let’s not even talk about the nightmare of juggling complicated formulas to calculate payments! Face it, the shifting sands of Excel spreadsheets are not a solid foundation for any staffing agency. Keeping track of promoter’s ever-changing availability is another huge challenge when working off a spreadsheet. Even with their scheduling information up to date, how are you supposed to use Excel to book your events? Copying and pasting into emails can only get you so far – and what happens when something gets lost in translation? The ability to quickly and accurately book talent is vital to your success. Don’t waste another minute with jerry-rigged spreadsheets. So you’ve spent countless hours building a spreadsheet that meets some of your data management needs. It takes tons of manual upkeep and tenuous fixes, but hey, it’s yours! And that’s exactly the problem. With all your sensitive data stored in spreadsheets, how are you supposed to collaborate with your team or engage your talent in the process? Sure, you could juggle permissions for multiple Google sheets, but that just adds another layer to the already complex work you do each day. You deserve a solution that lets you share the information you need to share, collaborate with staff, and bring talent on board. Well, as simple as you possibly can. There’s no denying that this is a complicated, fast-paced, evolving industry. That’s why we love it, right? Ditch the Excel spreadsheets that are slowing you down and embrace the simplicity of PopBookings platform, which was designed with staffing agencies’ unique needs at the forefront. Our experience running an agency of our own revealed the pain points that agencies face, so we created the solution! Allow talent to update their own photos and information. Access comprehensive talent profiles at the click of a button. Book talent quickly with an intuitive drag-and-drop interface. Share important information with those who need access. Quickly calculate and process payment. 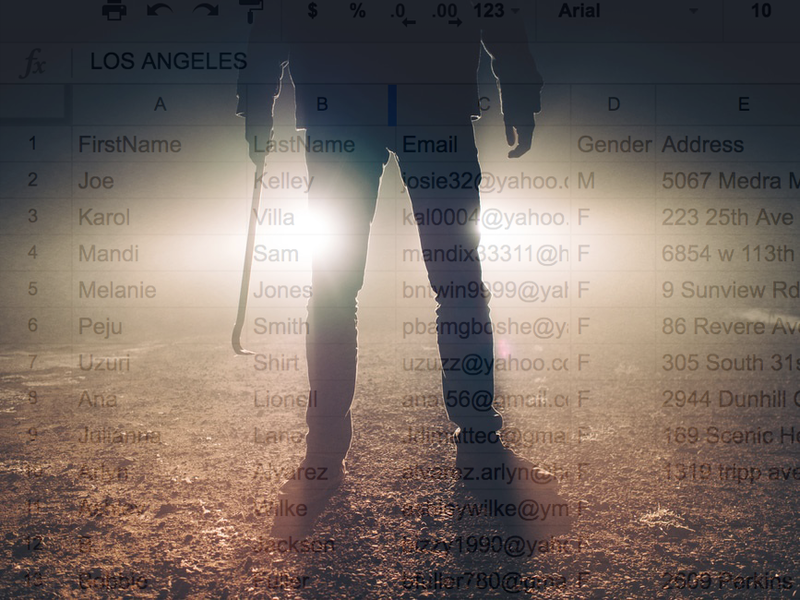 End your Nightmare on Excel Sheet once and for all! Are you ready to ditch the spreadsheets and simplify your staffing? Agencies who use our platform can’t stop raving about the time and energy they save with PopBookings. Schedule a demo today to learn how we can make your dreams of success come true!